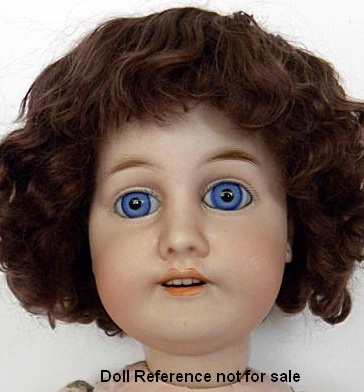 Henri Rostal bisque head Mon Tresor doll, 27"
Henri Rostal also used the doll mark H.R. There isn't a lot of information on the short lived Henri Rostal doll company of rue du Trésor, Paris, France. 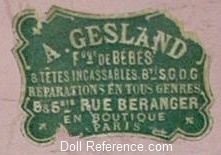 Rostal made bisque head bébé, child and Poupée de Mode - Lady Fashion dolls, with bodies of kid leather or composition. & Tetes Incassables Bte S.G.D.G. 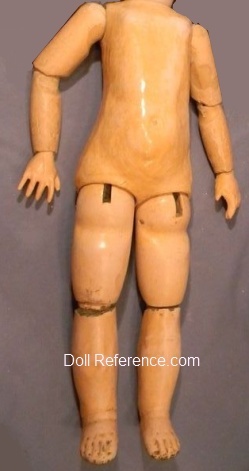 on doll bodies with other labels as well.